While caught up in our parenting moments, we sometimes forget how many things our children teach us. I've learned so much from my boys, and just when I think I know them, they surprise me. In the past few years, C and T have taught me a lot about music. Both my hubby and I are big music fans, and it has been part of our household since we were married. We have always enjoyed an eclectic mix of bands and artists, and together we've attended more concerts than I can count. Sadly, neither of us can play an instrument, so we made sure the boys were exposed to piano at an early age. I like to think that we are forward thinking in our musical tastes. At least we used to be. But then we started to...ahem...age, and nothing sounds as good as our old favorites. By the way, when did music get so loud? Recently, the boys have reminded us how fun it is to discover new music. They often have us listen to songs they've found, and they have taken me to some interesting concerts. A few months ago, T asked if we could go to Bumbershoot this year. That brought back some memories - we hadn't been since college. 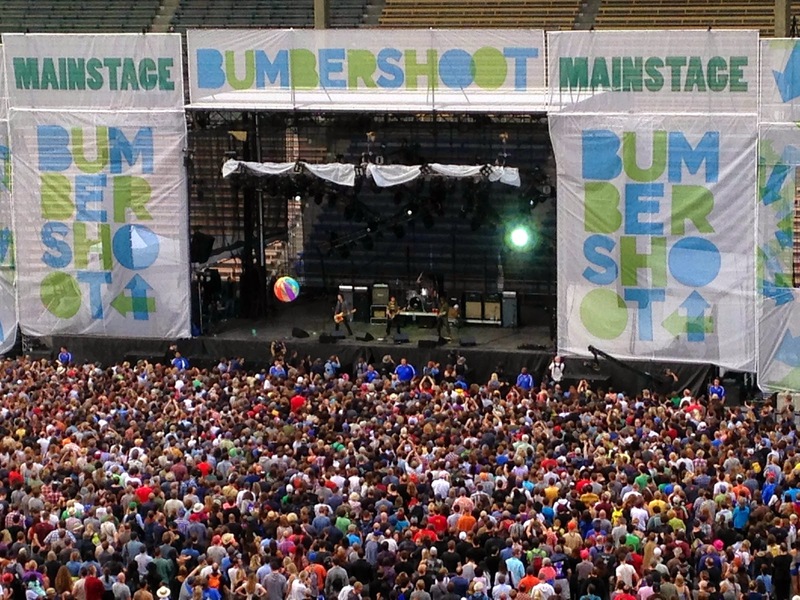 Bumbershoot is a music and comedy festival held at the Seattle Center. It started in 1971 and has grown to one of the largest music festivals in North America. Through the years there have been some great performances. Heart, The Eurythmics, James Brown, Death Cab for Cutie, The Foo Fighters, and Tina Turner have all played here, as well as many up and coming groups. Of course we arrived early - because my hubby gets everywhere early. 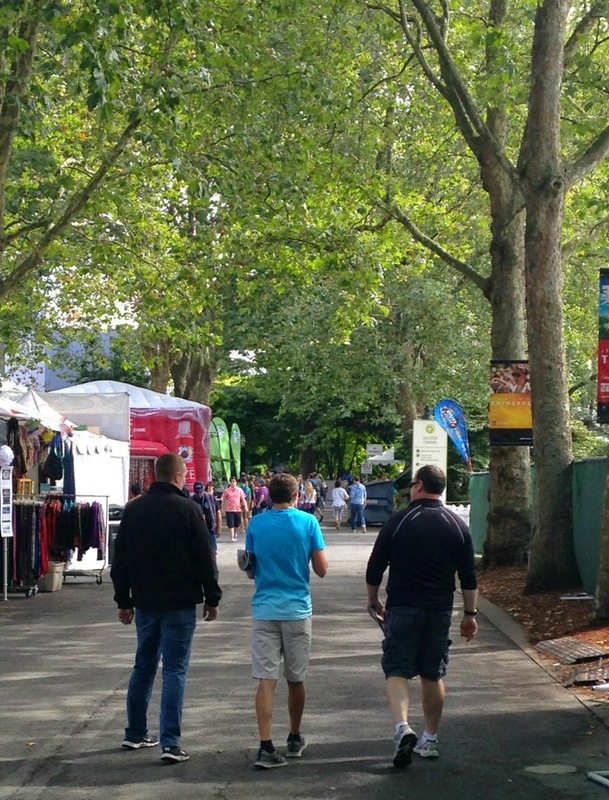 Which was actually a good thing, because we were able to stroll around before the throngs of people arrived. 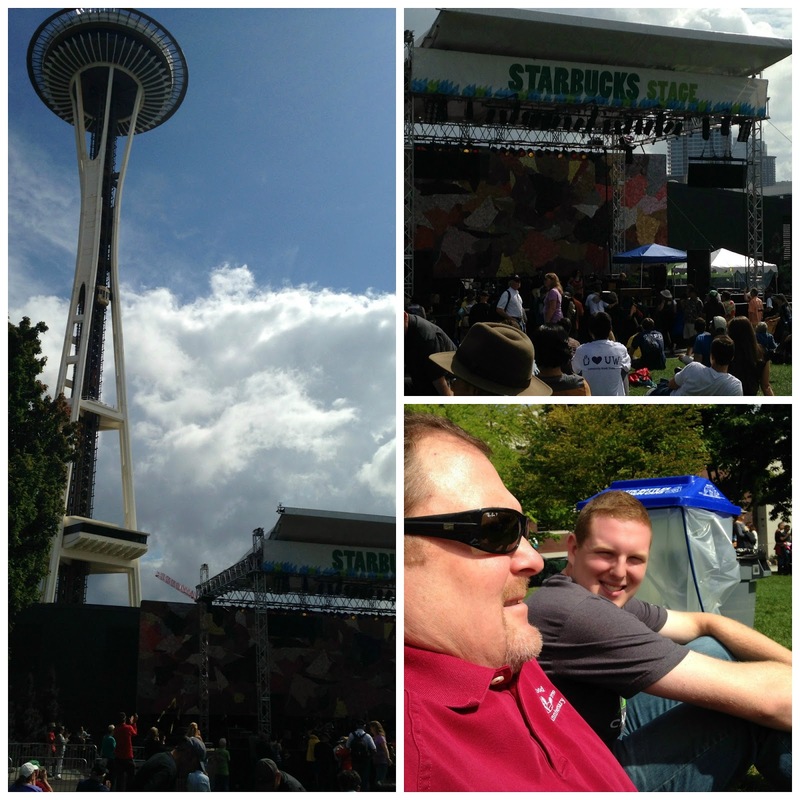 We hung out for awhile at the Starbucks Stage, enjoying the Hot Wired Rhythm Band. The view of the Space Needle and the music were pretty great! After that things started hopping, and we listened to We Are Scientists (really, really good), Hobosexual (hmm...interesting? ), a horror-pop band (don't even ask), Red Fang (did I mention music has gotten really loud? ), and The Replacements (hey, I know them!). We let the boys choose the schedule, and they did a pretty good job. We also attended a few comedy shows and visual arts displays. By the end of the day I was exhausted but happy. It was so fun to experience different music again, and I have my boys to thank for teaching me that I'm not too old to listen to something new (even if they are wearing black tutus and screaming instead of singing - I'm talking to you Schoolyard Heroes). Rock on! I love listening to live music and discovering new bands but your are right, some of them make me feel old when I'm like "why so loud"?! Sounds like the perfect day with your family! It was a great day. I definitely felt old listening to some of the new bands! What amazes me about the present generation, is that even though their taste of music is so different from the past - they love the music of our generation also! My kids enjoyed the Paul McCartney concert just as much as I did! This sounds like a fun event - and a perfect way to spend time as a family! You're right Susan. The Beatles, Rolling Stones and The Police are some of my boys' favorite bands. Going out for music is one of my favorite things to do. And the best part is it transcends age. You're right. 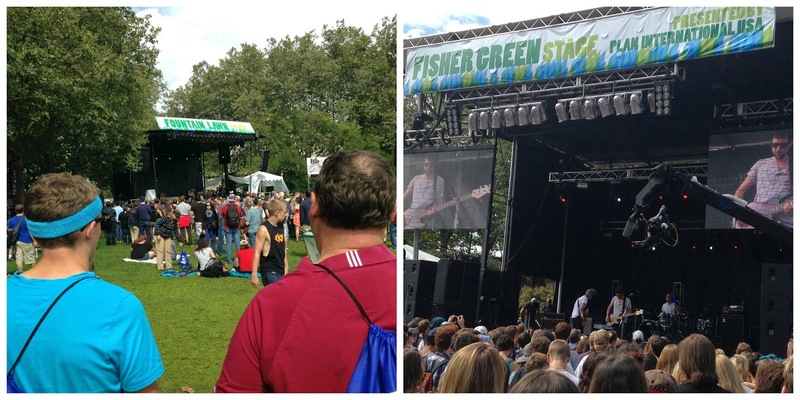 There were all ages at Bumbershoot, from babies to old folks like us! How special to share that experience with your boys. We can learn a lot from our kids and it keeps us young! I learn things from my boys all the time! How fun! I love listening to live music. I had an experience last month with a live puppet show in the park that I really didn't want to go to. The girls loved it and we spent the majority of the day there! It was so fun and I was exhausted too, but it was worthwhile! It's so good to push ourselves to do things we don't want to do sometimes - I've never regretted anything I've done with my boys. Sounds like you had fun! We like to get to places early too. If my hubby isn't 15 minutes early, he thinks he's late! Kudos to you and your hubby, Lana, for being open to this idea! You know we're getting old when we start complaining that today's music is all noise and screaming, and that no one hardly ever really 'sings' anymore. (Didn't our parents say the same things about our music? hehehe). My son is still too young to 'teach' me about real music. However I admit that I only learned about that crazy song 'What does the fox say?' through him. Oh, and Gangnam Style too. If I hear those songs one more time, I swear I'm stabbing my ears! So funny, and I completely agree! Right now I'm tired of hearing "I'm So Fancy"! It was so much fun. Nope, not an engineer. We have a door hardware company. This event would be right up my alley. I love all kinds of music. I have to agree about the loudness though. I've only been to 1 concert in entire life and that was Sheryl Crow. I have a fear of large crowds so I avoid them at all costs. Sheryls concert wasn't bad only about a thousand guests.It was brand new venue and she had a special opening concert and I won the tickets! I would love to see Sheryl Crow, especially in such a small venue. Lucky you! My hubby isn't a fan of crowds either, but because this event is outside, it never seems too bad. Good for you! It keeps you young. I can never get it loud enough. I have the bass on full and the volume as high as it will go in my car. At stop lights, my Jeep is literally rocking - do I care if it disturbs the old guys in the car next to mine - NOPE. The stop lights only a minute or so....deal with it! :) Thank goodness my hubby is the same as me. Love this! You would have definitely enjoyed this festival! Everything is better when shared with family! 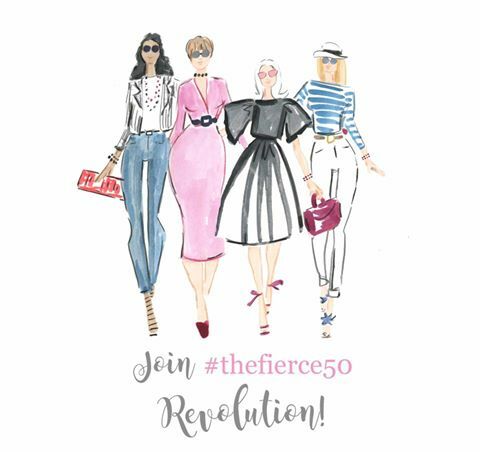 Loved hearing about this. And you're absolutely right. Bands have definitely gotten louder! Such a great family experience that your boys will remember. I also wanted to thank you for your kind comments and wonderful friendship. You are a treasure. Have a blessed week! 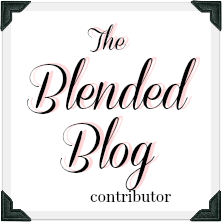 Thank you - I LOVE your blog! I agree, never too old to listen to smth. new Lana. Hope you had a ROCKING WEEKEND! !